Okay. 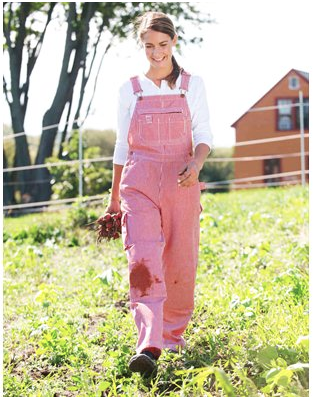 So these are technically not a jumper, but I wanted to share with you these red and white striped overalls from Duluth Trading. These are a great option for those especially rugged tasks, like cleaning out the chicken coop or climbing trees with the children. Definitely not necessary for all of your work, but some times they are just what you need!